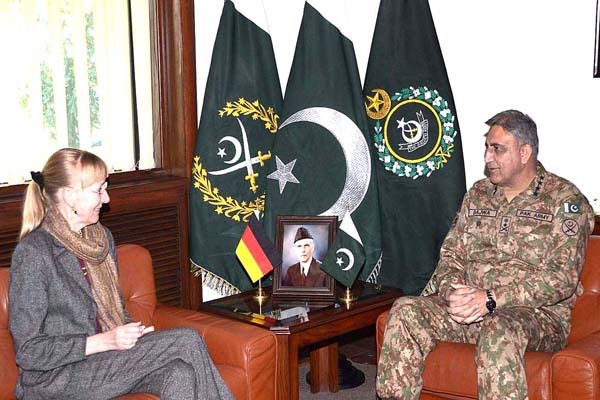 RAWALPINDI, Jan 27 (APP): German Ambassador Ina Lepel, Friday met Chief of Army Staff (COAS) General Qamar Javed Bajwa at General Headquarters (GHQ). Matters of mutual interest including regional security issues were discussed during the meeting, an Inter Services Public Relations (ISPR) press release issued here said. Ina Lepel acknowledged Pakistan Army’s achievements in fight against terrorism and continued efforts for peace and stability in the region.